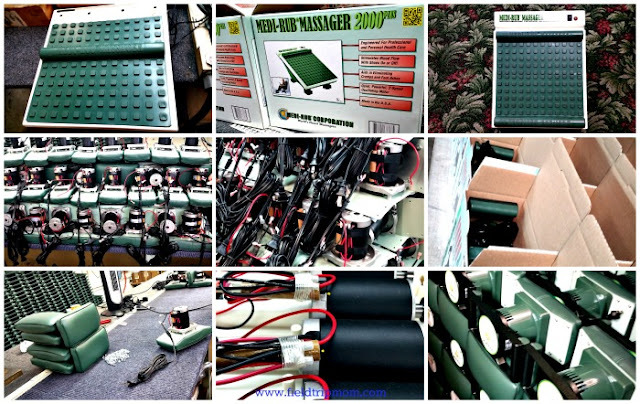 This past summer, our family visited the Medi-Rub Massager headquarters. 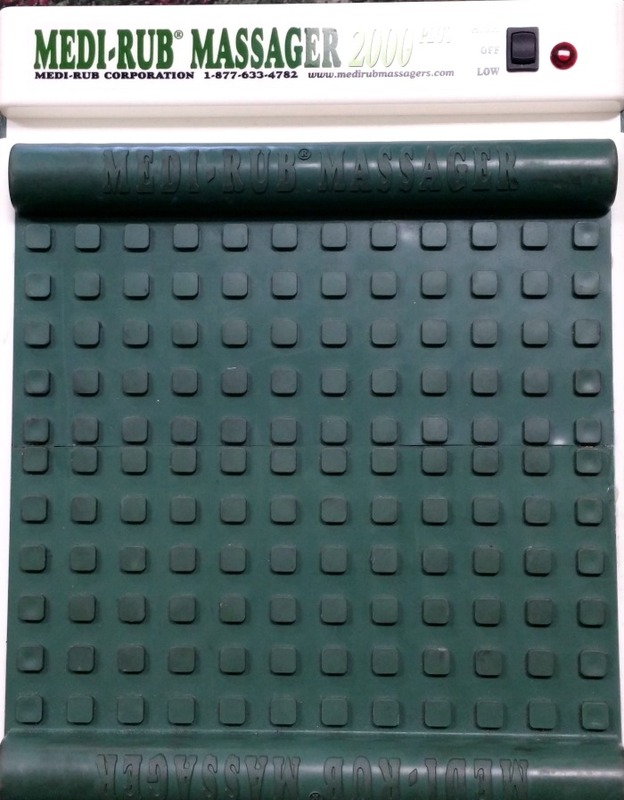 The Medi-Rub Massager is a device that is used to help people who suffer with leg cramps, blood flow, while strengthening the Plantar Fascia and improving reflexology. This product is sold worldwide and is preferred by many doctors to help with diabetes and other related illnesses. We were first introduced to this machine at our local Sam’s Club. There, we all took turns testing the product out and found it to be very relaxing. Our first time using the foot massager, we immediately felt tingling throughout our feet and legs. We became fans. When we found out that the machine was made locally, it only made sense to find out more about the product. 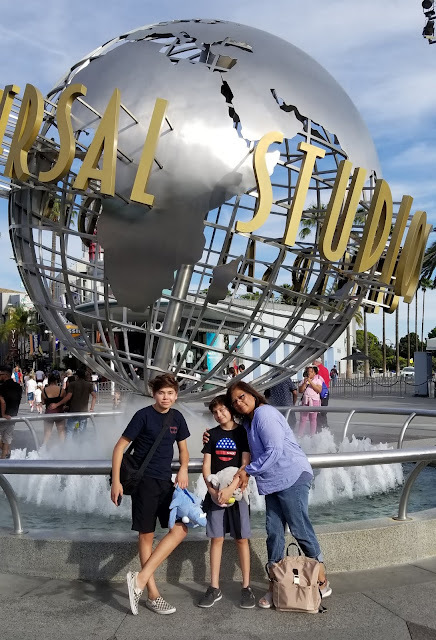 Our family drove to their office in San Clemente to tour their manufacturing processes. The family field trip was very informative and eye opening. We all saw how a small business impacts our local economy. The owner, Yolanda Holly, gave us a personal tour of her offices as well as shared their company history. The company has been helping folks with circulation problems since 1976. Doctors recommend this product for patients who need to improve their circulation. Yolanda explained that they accept custom requests on the foot massager for folks who have trouble with lower extremities. All they have to do is call and request it. This small business goes out of their way to make your experience a success because they understand how important your health is to you and the ones you love. The tour gave us a small glimpse into what it takes to run a medical product company for over 30 years. We saw an organized and clean manufacturing facility as well as friendly employees. We were impressed with the kindness that was shown to us by everyone at the headquarters. We left knowing more about a product that we own and use frequently in our home. All of this information helped us feel confident about our health and purchase. 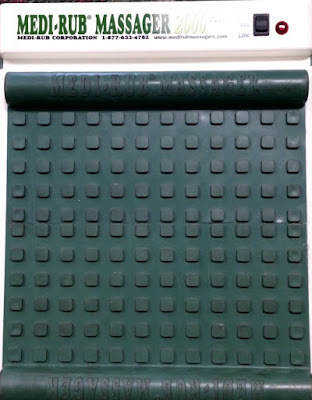 We highly recommend this product for folks that do lots of sitting or have a hard time walking. This product relieved and cured my husbands plantar fascia and is recommended for persons with diabetes, circulatory concerns, leg cramps, tired feet and legs and much more. Fax 949-366-6363Disclaimer: Not a sponsored post. All thoughts and ideas are all my own. Pan Dulce (Sweet Bread), an easy Valentine's Day gift for friends, neighbors, teachers, co-workers and anyone who enjoys a sweet treat. A simple idea, budget friendly and heart-shaped; turn ordinary Mexican baked goods into a fun Valentines gift. 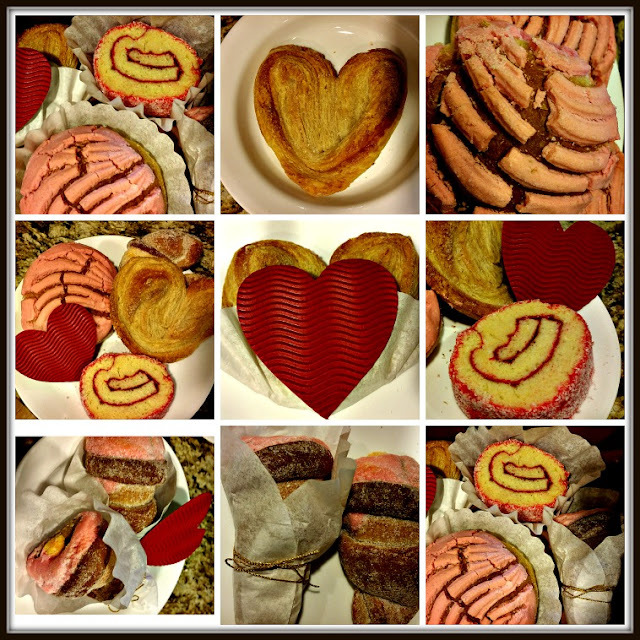 Use pink baked breads or cookies from your local Mexican bakery and add your own creativity to brighten someones day on Valentine's Day. 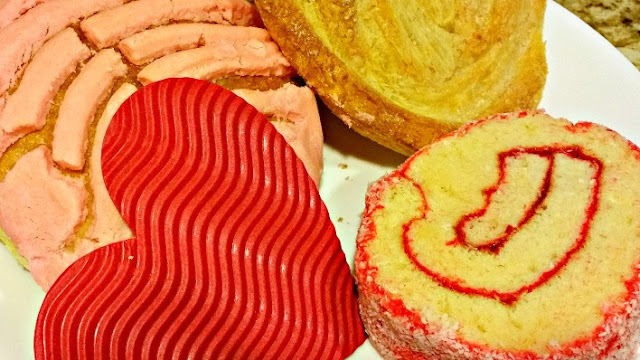 To get started, visit your local Mexican bakery and pick out your favorite cookies or breads. We used breads and cookies with pink and red frosting as well as fun shapes. This gave our gift box a fun "LOVE" theme. We than asked the baker for an extra box. We left with (2) dozen baked treats and our total was $14.00. For this price, we had enough cookies and baked items to fill (6) medium boxes. At home, using food gloves, we repackaged the brown box and adorned the outside with hearts and ribbon to give it an added flair. To decorate the inside of the box, we added some special paper. If you don't have colorful tissue paper, look around your kitchen for other creative ideas. We used coffee filters for one gift, while parchment paper works great too. We glued paper hearts and used rope to give this brown box a decorative look. It made the box look very homemade and sprinkled with love. 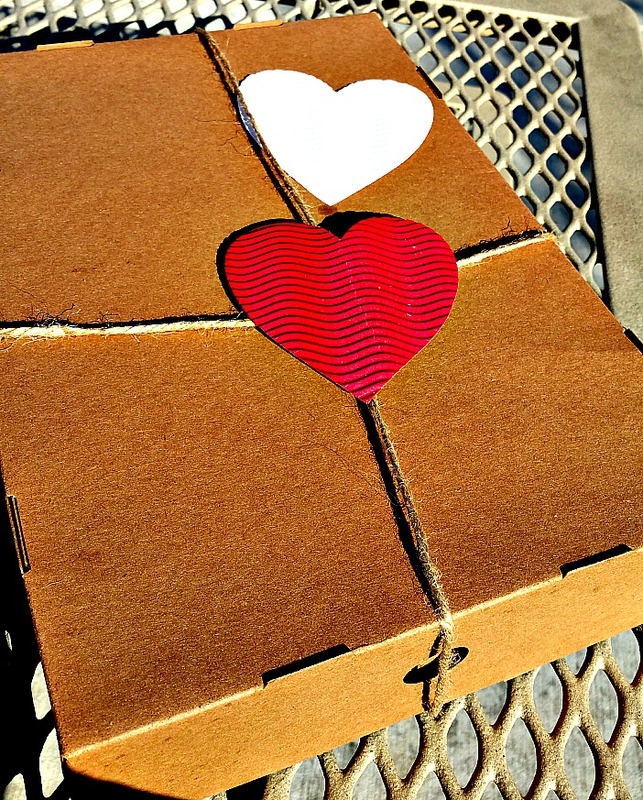 We made a Valentine's Day very special with this brown box and the Pan Dulce (sweet bread). Try it and watch someone light up when they receive the Pan Dulce Valentine box. Don't have a local Mexican bakery, then look for a local bakery that offers a variety of breads and cookies at a reasonable price. We spent on average $0.50 per cookie or bread. One place you may want to consider is Costco's food court as an alternative bakery. They sell Mexican Churros in their food court. 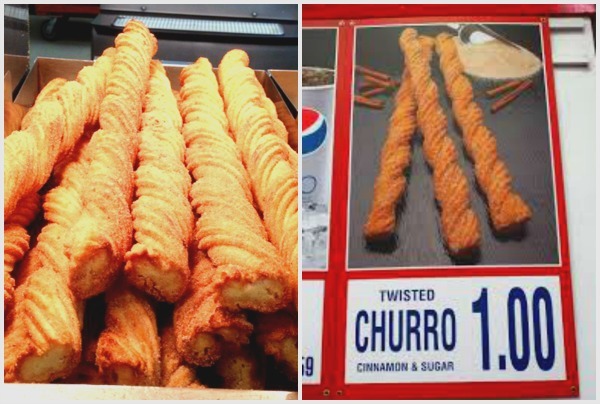 If you are buying more than (10) Churros, then you will have to call ahead to order. Remember to use your creativity for wrapping the Churros. A pretty box with some ribbon goes a long way to make it look special. Valentine's Day for us is about showing kindness and gratitude towards our community and friends as well as family members. We do not spend very much money on gifting; however we use creativity and effort to show our appreciation. We feel that the love is in the details. We hope that this helps you spread love and kindness this Valentine's Day season. Disclosure: Not a sponsored post. All thoughts and ideas are all my own.